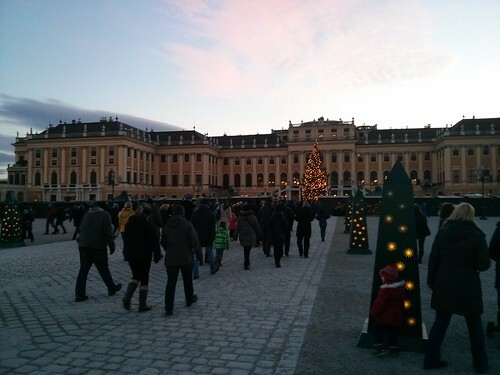 The Austrian Christmas stands are an authentic tradition for tourists and even the locals. At the stands, you can find presents for the family or just enjoy the Austrian “way of life” such as drinking mulled wine and trying typical meals. In Vienna there are twenty Advent markets that are located in the city according to the most important districts in the capital. Based on my experiences, I can recommend three. 1)At the surroundings of Belvedere Palace, which impresses visitors for its location and Baroque style building, there are few stands, but they offer an extensive variety of handcraft products and Christmas decorations. 2)In front of the famous Schönbrunn Palace, there are about 60 exhibitors showing their handicrafts, ceramics, and cake-chocolate stands for children or even adults. This spot is ideal for families. 3)The Spittelberg market with the narrow streets is one of the most complete in the Viennese capital. There are stands offering art, jewellery made of silver, ceramic, warm clothing, and local food specialities from different Austrian regions. In all the markets you can find two typical hot drinks: mulled wine and punch. The former is made with wine (red, white or rosé) mixed with spices and fruit. The latter is a mixture of spirits (rum, vodka, whisky or liquors) with spices and fruit. There is also kids punch made with syrups, sugar, fruit and without alcohol. In Lower Austria, you can visit the village of Schallaburg and Schallaburg castle, one of the architectural gems of the Renaissance period. Inside the castle, there is a museum and constant exhibitions during the whole year. 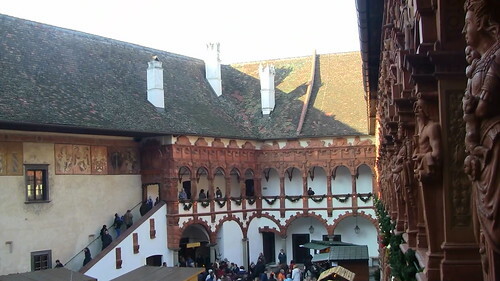 In December, Christmas markets of hot drinks and culinary foods are located in the main square of the Schallaburg castle. In the inner rooms, you can wonder through the halls and visit the stands of jewellery, wooden clothing, handcrafts, Christmas decorations, wood toys for children and much more. Back at the square, you can see old guilds like blacksmiths working with metals as in the past. The romantic Advent village of St Wolfgang, an hour by car from the city of Salzburg, is well worth seeing. The St Wolfgang Lake has on one side the village whereas on the back, there are huge mountains making this a truly picturesque place. During Advent festivities, a giant red candle is placed in the middle of the lake and the village is filled with Christmas stands. Alcoholic hot drinks, excellent Austrian specialities and a wide range of craft products can be found at St Wolfgang. 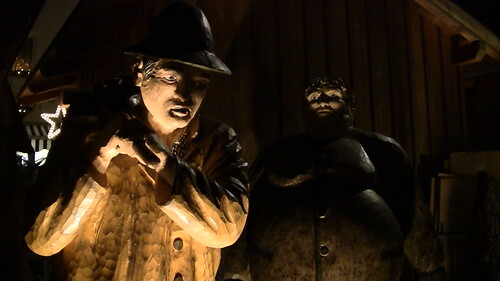 The village park converts into a Nativity scene with carved wooden figures taller than life. It is a truly spectacular place to visit right before Christmas!